Electrically powered with a 50 miles range. Quirky mix of a moped and small city two-seater. Ideal for city commuting. Doors are an optional extra. Minimal protection from the elements. Can't be parked in motorcycle bays or driven in bus lanes. Top speed of 53mph. 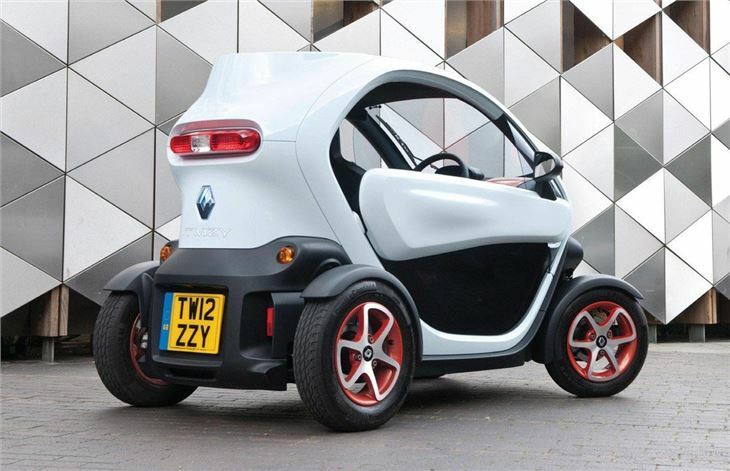 The Twizy is a car that could only come from Renault. 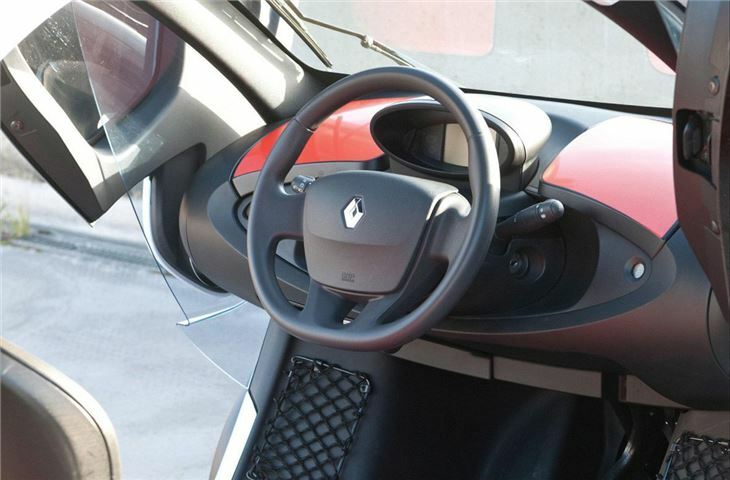 The French brand occasionally goes a bit loopy, giving the world cars that look more like concepts than production ready models. The Avantime and the Vel Satis are prime examples. They may be hit and miss but you could never accuse the firm of following the norm. 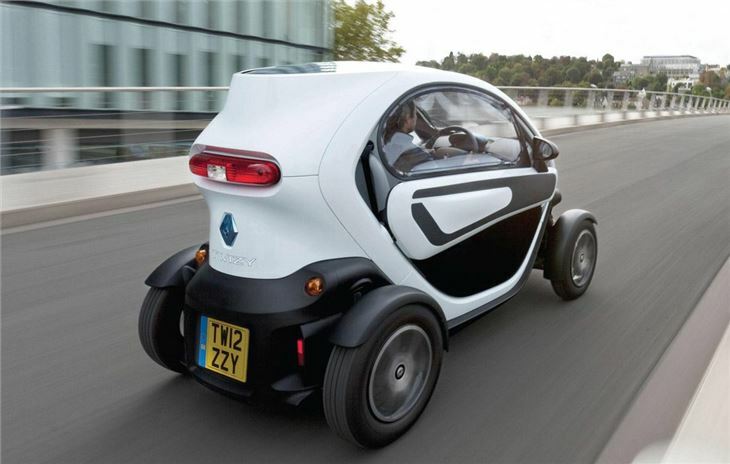 So the Twizy is in good company. So what exactly is it? 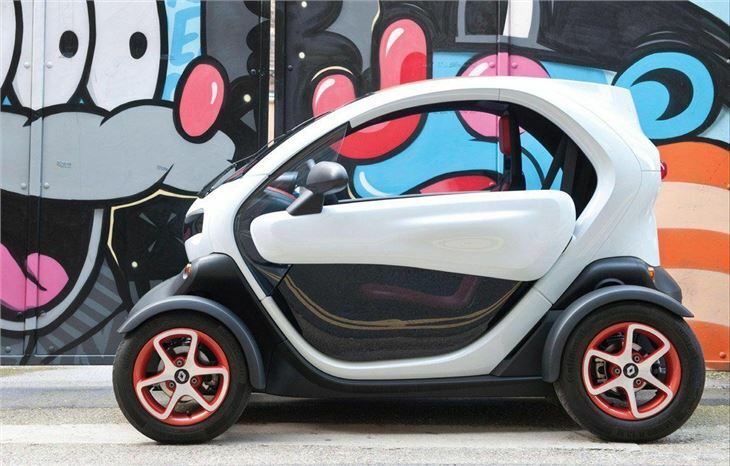 Well it's sort of a mix between a moped, a quad bike and a small city two-seater like the Smart ForTwo. You need a full car licence to drive it, it's not classified as a motorbike but a quadracycle so you don't need a crash helmet, but it does carry two people - just about anyway - with the passenger sitting right behind the driver. Prices start at £6,690 plus you'll want the doors which are £545. That's still affordable as a second or even third car if you live in London while the top model is £7,400 and gets the neat alloy wheels. You do have to factor in the cost of leasing the battery though. Prices vary depending on how many miles you want to cover each year and the length of the contract. But an average price is £54 which is for 6000 miles a year on a two year contract. 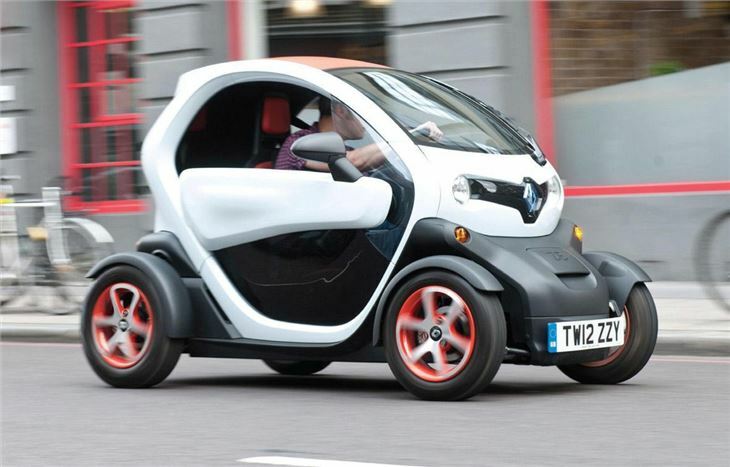 It doesn't however qualify for the £5000 government electric car grant scheme as it's not classified as a car. From January 2013 a new category comes in which means 16-year-olds can drive a vehicle weighing up to 350kg that's limited to 30mph. Details aren't clear at the moment but it will require a driving test including both theory and practical parts. 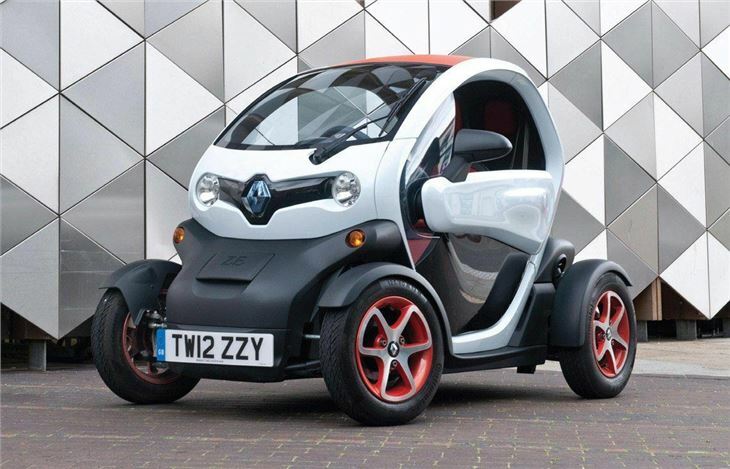 If this is the case then Renault would no doubt work to make the Twizy 45 meet the requirements. 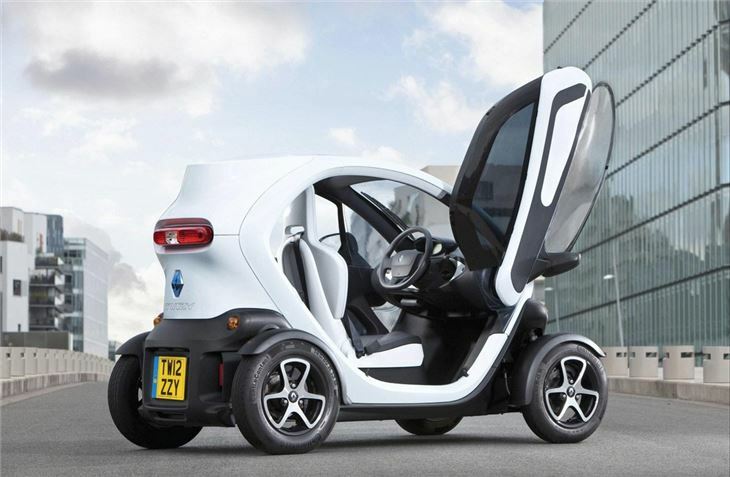 The Twizy may be more suited to Spanish beach resorts than UK roads and as a result the firm may only sell a handful here, but it's reassuring to know that cars like this are being built. Nothing is as innovative or matches it for sheer quirkiness and the motoring world is definitely a richer place for it.